The first inhabitants of the Bolu are Hittites. B.C. In 1211 Bolu, like all Hittite lands, was captured by the Phrygians. The Lydians who defeated the Phrygians had Bolu. BC Persians In the sixteenth century (546 years), they dominated the region for a short time after defeating the Lydians. They ruled for 200 years with the governors under the names of Misya and Patlagonya. B.C. In 336, the Macedonian King Alexander the Great defeated the Persians and took control of Bolu like many places of Anatolia. When the kingdom of Macedonia was demolished upon the death of Alexander the Great, some of the peoples of Anatolia, which were not Greek but were under Greek culture, seized them. Today, the official language of some African countries is English and French. But this country has nothing to do with the English and French nations. At that time, some nations that spoke Greek, but had nothing to do with Greeks, dominated some parts of Anatolia. 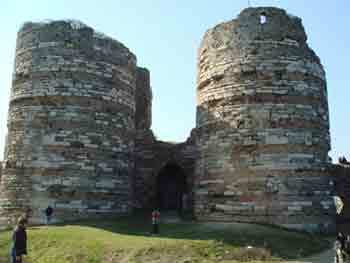 The Bithynia Kingdom was established in Bolu. M. Ö. In the first century, the Greek kingdom of Persia attacked Pontus, but the last king of Bitinya called for the aid of the Third Nicomedes Romans. The kingdom of Pontus was defeated. When the Third Nicomedes, the King of Bithyns, died, Bolu region joined the Roman Empire. When Rome broke into two in 395, Bolu fell to the share of East Rome or Byzantium. -1071 After the Malazgirt Victory, the Turks continued to move towards the west of Anatolia. Melikşah, the son of Alparslan, commissioned to take the area between the Süleyman Şahı Kızılırmak and Istanbul and gave him 100.000 Turkmen from Turkistan to be placed in the region. Bolu was conquered by Ashaaddin Khorasan during the raids on the area. Turkmens, who settled in Bolu in 1074, easily fused with the Bulgarian, Pechenek, Uz and Cuman Turks, which the Byzantines had brought before the Balkans. Bolu and their villages were completely Turkishized and got Turkish names. The names of Dadurga, Salur, Karken, Yenice, Çatak, Berk, Karaceli, Bayındır, Yuva and many other places are always the names of Turkish tribes. The Turks from the Balkans became Christianized, but they did not forget the Turkish language, customs and traditions. They became Muslims soon. The commanders of the Seljuk State Artuk, Tutuk, Danişmend, Karatekin and Saltuk gentlemen, under the command of Suleyman Shah, were based in the border of Istanbul. -For a short while Bolu’a Trobzon Greek Empire dominated the voyage, but the people of the region because it is Turkish occupation short-lived. -1197 Bolu was conquered for the second time. When the Seljuk State was destroyed (1308), Bolu passed into the hands of the Mongols. When the Ottoman Empire was founded, it was conquered by Bolu, Göynük, Mudurnu and Taraklı Konuralp at the time of Osman Gazi. In the time of Orhan Gazi, Akçakoca, Kandıra, Düzce and Üsküb were conquered. Although Timur Khan was under the rule of Candologullari (Isfendiyarogullari) during the Battle of Ankara, the reign of Sultan Murad II was re-ruled by the Ottoman Empire. Between 1324-1694 it was managed as a banner. After this date, he was turned into a voivodeship. He was the governor of Bolu during the period of Kanuni Shahzadelik. Between 1811 and 1864 he became an independent starboard again. He became one of the 14 sanjak (province) centers of the Anatolian Beylerbeyliğu in Kütahya. 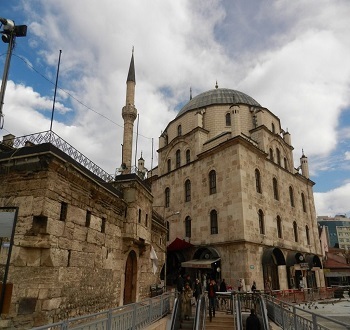 After Tanzimat, the sancak was connected to Kastamonu. After the First World War, he did not see enemy invasion but suffered material damage. Population and trade decreased. The province was the province of the Republic. In recent years, it has started to develop again in every field.